What a GREAT event! 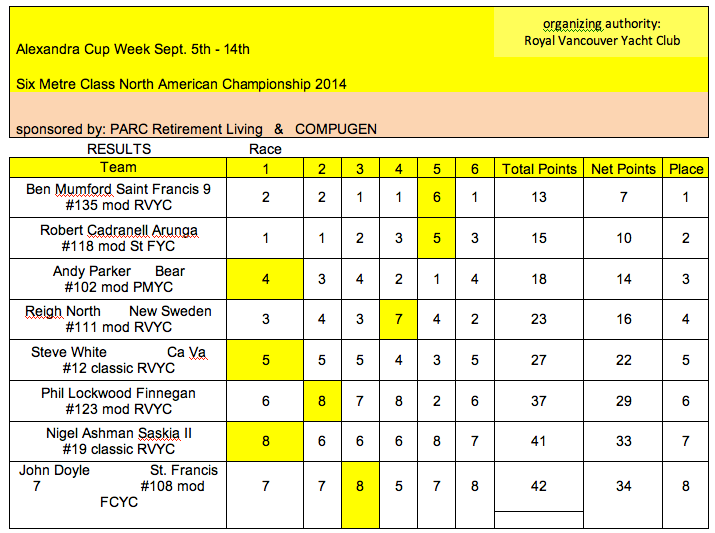 North American Championships finished with great weather and just enough wind. Final results mean that St. Francis IX and Arunga will be vying for the Alexandra Cup next weekend and the rest will be trying for the Jack Cribb Memorial Cup. Here are the results from the North Americans. Congratulations everyone - and thanks to Charles Brodeur, Regatta Chair, Don Martin PRO extraordinare and a great RC, Judges (thankfully NO protests) and all the volunteers. Thanks also to our wonderful sponsors PARC and COMPUGEN!! Stay tuned for some great pix from this regatta later in the week!